For a business trip or family vacation, the Novotel Lyon Gerland Musée des Confluences hotel is ideal for a visit to the museum just 547 yards (500 m) away, a concert at Halle Tony Garnier, or a seminar in one of our 17 refurbished meeting rooms. Located in the heart of the Lyonbiopôle district, it is easily accessible by the tram serving downtown Lyons, the train stations and highways A6, A7 and A43, making it ideal for stopovers. Relax on the terrace of the restaurant-bar overlooking the pool. Spacious, contemporary in design, and adaptable, the Novotel room is truly a place for living. Perfect for all your needs. 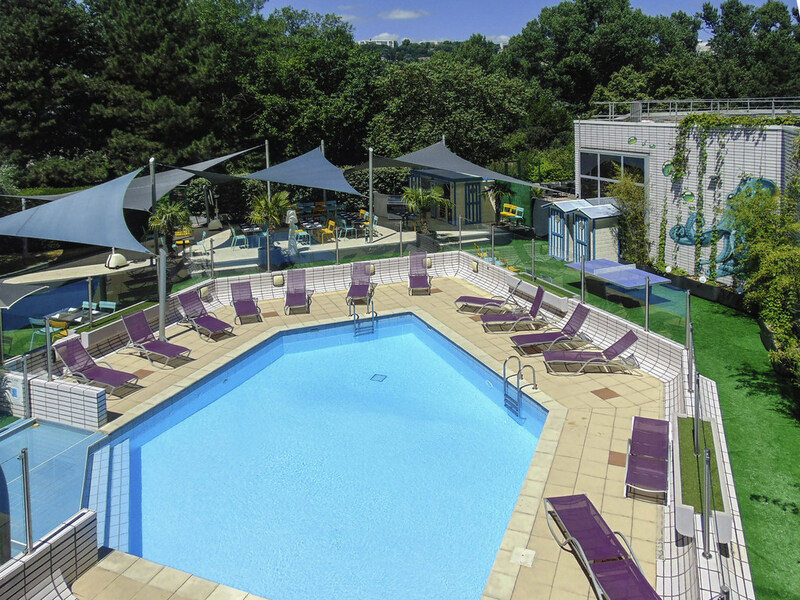 The rooms at the Novotel Lyon Gerland are available in Superior, Executive and Suite categories and are designed for families with a double bed and sofa bed for 1 or 2 children. Twin rooms (2 beds 39" wide) and connecting rooms available on request. Our chef, Laurent Genevey and his entire team offer you simple and tasty, healthy and balanced cuisine. Guests can enjoy one of our bartender's drinks with friends or colleagues, in the Easywork space or even at our monthly after-work drinks and music events.